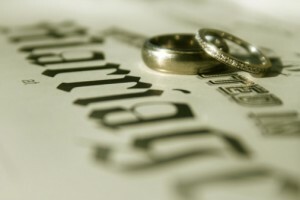 You are at:Home»Featured»Are Catholic Marriages Disappearing? I live in Christchurch, New Zealand. A city that, over the past few years, has been struck by several large earthquakes. As a result our city doesn’t have that many buildings left standing. Most of our churches are gone. Masses are celebrated in halls or parish centers. Whole parishes themselves don’t exist and our city is now going through a rebuilding process. According to our diocese’s newsletter, which comes out quarterly, last year just over 24 couples in our diocese went through the marriage preparation program. I may be coming to the wrong conclusions from this but I think it shows a few things. Vocations to marriage are suffering. Sure, people are getting married – there were definitely more than 24 couples who got married in our diocese last year – but not in the Catholic sense. Perhaps people were getting married in the Catholic Church because of the pretty buildings. Now that the pretty buildings don’t exist, they don’t bother. A beach, vineyard or garden will suffice. Therefore, marriage preparation – a requirement to get married by a priest in a Catholic church, isn’t necessary. Either that or the priests are simply not doing the program with couples. Pretty much everyone will be in some form of romantic relationship in their lifetime, and a good proportion of the population will be parents, yet our preparation is limited. Increasingly, the younger generation doesn’t have the good luck to have been brought up with parents who literally have it “together” so they miss out on being witness to it. The only other real education in relationships is the media, perhaps health class in school, and teenage dating, all of which prepare for a potential life of promiscuity more than a happy marriage. Is it any wonder that as a twenty something, my peers see no priority in marriage? I recently ran into a classmate who, when explaining she was married with children, went on to justify why she had married young rather than just living with her partner. The fact that she had probably been questioned negatively about this multiple times struck a chord with me, as I also have experienced prejudice being a young wife and mother. We are not the norm. I expect my children to have many classmates that come from families where their parents are divorced or unmarried. They may have half siblings or step siblings. After all, I grew up with this myself. Do we wonder perhaps why vocations to religious life are in need when vocations to marriage are also trivialized or not well prepared for? Perhaps it is taken for granted that marriage is something that we know about. But in my opinion and experience our younger generation aren’t being well formed. In work I have done teaching Theology of the Body for Teens, young people often hear for the first time the church’s teachings about the sacrament of marriage and that the church even has a teaching on contraception (who knew?). They expect divorce and see no real importance in marriage, let alone understand the beauty of Catholic marriage. A study by sociologists at the University of Queensland found that premarital cohabitation, as well as premarital childbearing, significantly increases the odds of marital breakup. While cohabitation increases the odds of divorce by 41% for men and 31% for women, out-of-wedlock childbearing increases those same odds by 63% for men and 2.3% times for women. On the other hand, the birth of a first child within marriage had just the reverse effects: reducing the odds of marriage breakdown by 85%. Perhaps in our rush to achieve the modern ideal of being rich, traveling the world and owning all the best fashions and gadgets all while having a good time, we have our priorities slightly out of whack? While we get an education and work experience and all that in preparation for our career, preparation for our lifelong relationships with our spouses and children is more important. Something we are not taught in modern popular culture is self sacrifice. Our culture constantly advertises that everything is about “me, me, me”. Relationships involve giving of ourselves. Strong marriages require us to put the other first. If each of us in the spousal relationship put the other first then we look after each others needs (Ephesians 5:21-33), something that is especially important in times of illness, pregnancy, childbirth and hard times. This is something the world we live in doesn’t prepare us for in any way. In the words of St. Francis de Sales, marriage is a “perpetual exercise of mortification”. Who wants that in this day and age? Yet in my experience the richness and fruits of marriage and love where you offer yourself in whole to another person is immeasurable. After all, marriage is about love, a love beyond just a “feeling” involving giving and receiving. Marriage is against the counterfeit of lust and using in our culture, and it is totally worth it. Previous ArticleCan the World Survive Without Italians?